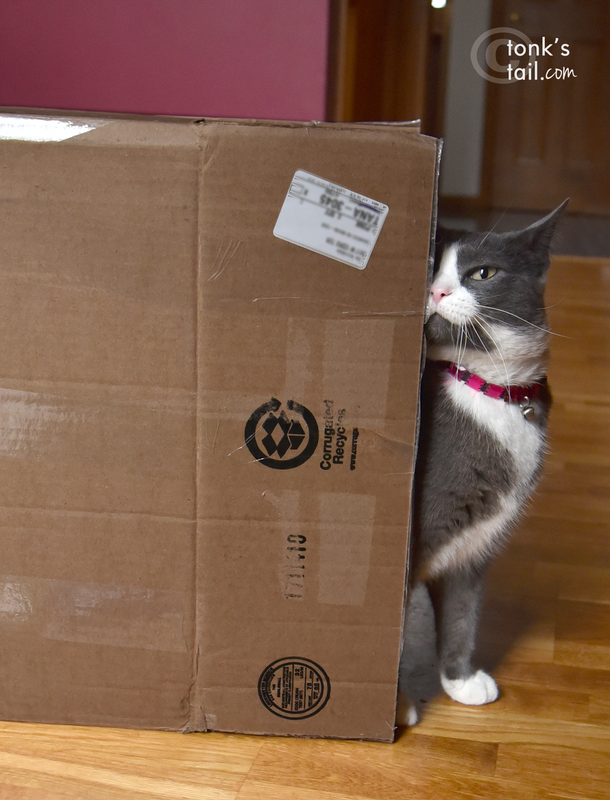 Allie: I do love a good box. And this one is mine and mine alone. You lovely box, you. I shall keep you forever! ... what do you mean, "recycle"? Our Allie loves boxes too! Humans have some very unfortunate ideas...They must be taught better! 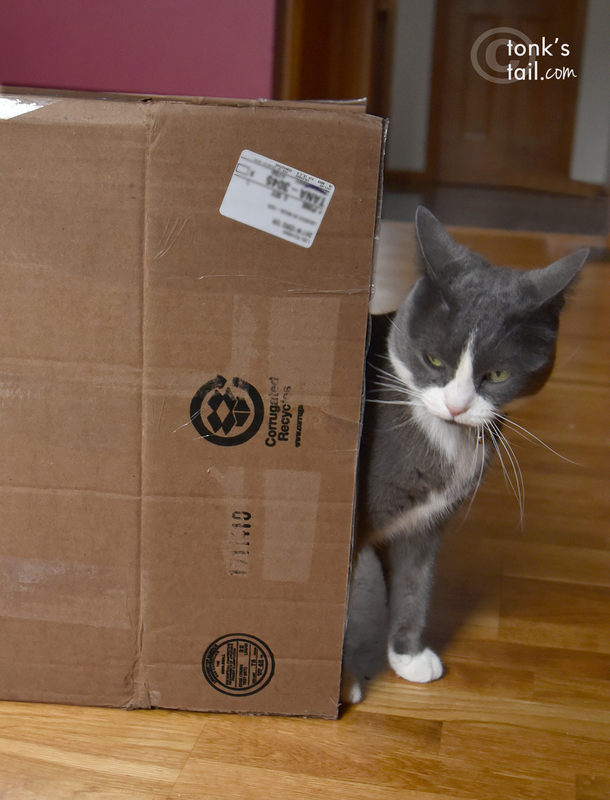 If you are like my kitties, you will be bored with that box soon, and want another, so recycling is good. Yeah, Allie, TW does that will all my boxes too. First she has to break them down which is just heartbreaking to see a wonderful box het mutilated. Nooooo! It has to stay! That's not fair! My mum lets me keep my box if I really like it, until a better one comes along. Oh no, that is not right. Oh that's a dirty word. You should keep that box. If you stay in/right by that box and claim it with some tooth marks, maybe it will not leave you so soon. Pipo & Minko say biting the cardboard in the big packing boxes is their tooth-brushing method, MOL! That is mum too. Always needs to recycle, but if she sees I am really using it, she doesn't to it right away. What is this "recycling" of which you speak? That box is Allie's! 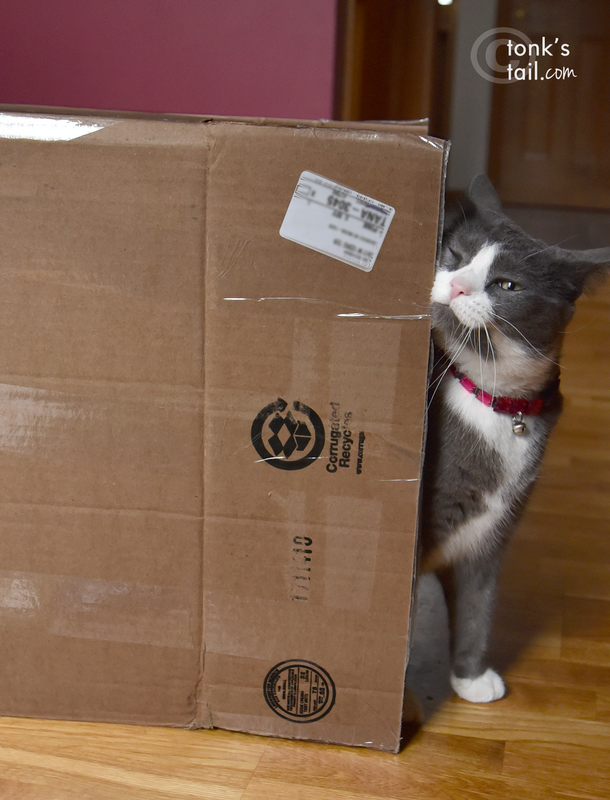 Allie will definitely stop you from recycling her box.